Wheatbelt NRM is supporting the South Regional TAFE, Diploma of Agriculture delivered at Muresk by providing lecturers with expertise and local experience. Wheatbelt NRM staff are currently delivering a range of units including workplace health and safety, preparing crop production plans, and how to manage staff. One unit this semester is about collecting and managing data relevant to the industry. Local businesses have helped out by supporting mini trials to demonstrate to students the techniques used in experimental design, data management, analysis and interpretation. 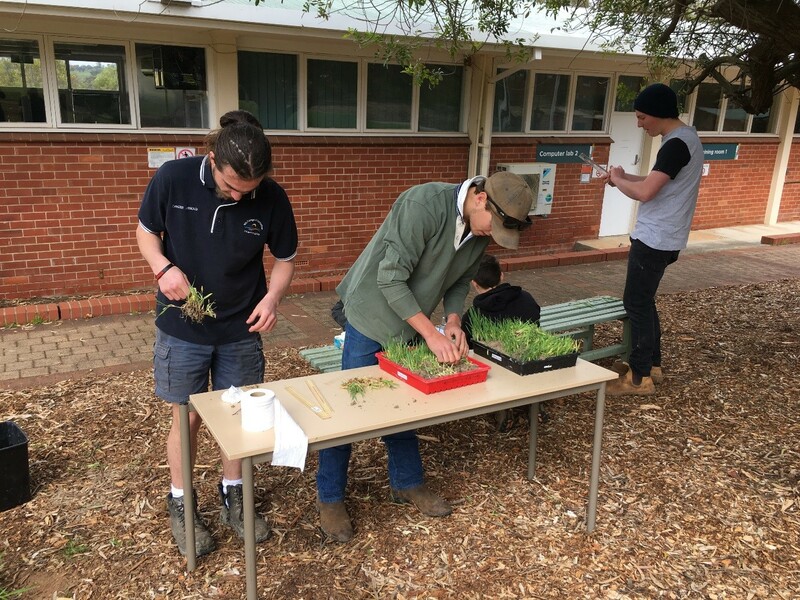 Australian Grain Technologies (AGT), the Department of Primary Industries and Regional Development (DPIRD) and CSBP have donated grain, equipment and fertiliser to help the trials and the students have embraced the opportunity to do some hands on experiments. This unit will provide the students with the expertise to collect, manage and interpret the ever increasing amount of data used by farm businesses to make key decisions.